in 1997, ideas about comprehension instruction began to shift towards teaching students to be strategic. Since then, powerfully influential books–such as Strategies that Work by Stephanie Harvey and Anne Goudvis and The Reading Strategies Book by Jennifer Serravallo–have helped us understand how to consider the strategic work of reading as a collection of processes that work together to help children comprehend text. While we agree that strategy instruction should be an instructional mainstay, we invite you to consider some of the more subtle aspects of teaching students to be strategic. You can better teach reading strategies if you understand the reading processes of students. Listening to students read, talking to them about their understanding of texts, and knowing how they idiosyncratically approach and process text is quintessential to knowing which strategy will be most helpful to them. As a teacher you can know 1,000 reading strategies, but if you don’t know your students well enough to understand them as readers, you will not be able to effectively match the strategy with the reader. Students do not need 1000 strategies to be successful, in fact this may make them less successful. The value of knowing a lot of strategies as a teacher is that we can then differentiate our instruction to meet the individual needs of students. Teaching lots of strategies to all of your students, however, will likely produce a cognitive overload. In the moment of figuring out the tricky part of a text, having three very-versatile strategies will prove more beneficial than having 15 specific strategies. In the moment of reading, problem solving must be on the run. Having too many strategies to sort through slows the whole process, which interrupts comprehension. Sometimes, less is more. It doesn’t matter how many strategies students know, if they don’t actually use them. The real value of reading strategies is in their application! If students don’t–independent of teacher reminders and prompting–use a strategy, then it is of little value. The reading rubber meets the literacy road when you evaluate strategy instruction through the lens of student transfer–Do students know when, as well as how, to use strategies, and are they doing so independently? Isolated strategies are not the end goal. The ultimate purpose of strategy instruction is that students integrate new strategies into their larger reading process. Knowing how to infer (or question or predict or clarify, etc.) is not enough. Proficient readers integrate strategies, flexibly using them in fluid ways. Putting all the strategies together is the ultimate goal. Not all students need explicit instruction in specific strategies. Students who have balanced and integrated reading processes, who are already strategic and agentive as they work through text, probably need little (or even no) strategy instruction. They simply need more time to read. Their reading processes are already what Marie Clay referred to as “self-extending systems.” Be careful about one-size-fits-all strategy instruction, particularly if it replaces actual reading practice for students. Instagram Stories have been around for two years. They came onto my radar about six months ago since several people I follow started creating them. I thought about dabbling in Instagram Stories, but knew I needed to watch a bunch of them before I tried on my own. (Even though Instagram Stories disappear from your profile after 24 hours – unless you save them to your profile from your private archive – I didn’t want to make a fool out of myself!) Therefore, I immersed myself in many Instagram Stories before creating one. Just as I needed to view many Instagram Stories to help me figure out how one of my own would go, immersion helps young writers envision what their end products will look like. Regardless of the genre, time spent immersing children in the kind of writing you expect them to produce in a unit of study is time well-spent (Bomer, 2010; Caine, 2008); Eickholdt, 2015; Ray, 2006; Shubitz, 2016). After all, it’s hard to understand what’s expected if you don’t know what the finished piece could look like. Typically, teachers share mentor texts with students during read aloud time. The first reading of a text should be to experience it as a reader. The second reading of a mentor text should be to notice craft or, rather, how the text is written. After reading a text twice, it is time to dig deeper to notice and note what an author did that made the writing come alive. Many teachers provide time for whole-class discussion of a text so that all students’ responses are honored and recorded on an anchor chart for future reference. In addition, students can work with partners to read like writers. You may provide students with a variety of mentor texts (i.e., published, teacher-written, student-written) to read and explore together. Provide students with a variety of mentor texts – at different levels – so all students can engage in immersion with a partner. There are many ways to help students read like writers. Notice something about the craft of the text. Talkabout it and make a theory about why a writer might use this craft. Give the craft a name. Think of other texts you know. Have you seen this craft before? Make a copy of the writing and put it in your writer’s notebook. Copy a sentence or short section of the piece in your writer’s notebook, maybe mentioning why you chose it. Share it with a friend, zooming in on one part or craft element you really liked. Step 1: Read Out Loud. Step 2: Respond as a Reader. Step 4: Read with a Lens. There isn’t one way to read like a writer. Therefore, it’s important to provide students with a variety of ways to read texts – some are more structured than others – so students can find a process of their own to adopt. After all, we want kids to continue to do this work independently in the future. After spending two to four days at the beginning of a unit of study to immerse students in a genre, it’s time to determine what they’ve absorbed. After immersion, set aside a day to administer an on-demand writing assessment (Calkins, Hohne, and Robb, 2015). On-demand writing assessments give students the opportunity to try out what they’ve learned after immersion. The data you’ll glean from an on-demand writing assessment will help you modify your whole-class instruction, if necessary, if you notice there are some big understandings about a genre the entire class is missing. In addition, you’ll be able to look at each student’s piece to determine strengths and areas for growth, which can help you set goals for one-to-one writing conferences. Furthermore, on-demand writing assessments provide you with data to create groups of students so you can create a series of small-group strategy lessons to meet multiple needs at one time. We want students to feel confident when they begin the first non-immersion lesson in a unit of study. One of the best ways to empower kids to feel like they can create writing is to help them understand what it is they’re going to create from the start. Bomer, Katherine. 2010. Hidden Gems: Naming and Teaching from the Brilliance in Every Student’s Writing. Portsmouth, NH: Heinemann. —————. 2016. The Journey Is Everything: Teaching Essays That Students Want to Write for People Who Want to Read Them. Portsmouth, NH: Heinemann. Caine, Karen. 2008. Writing to Persuade: Minilessons to Help Students Plan, Draft, and Revise, Grades 3-8. Portsmouth, NH: Heinemann. Calkins, Lucy, Kelly Hohne, and Audra Robb. 2015. Writing Pathways: Performance Assessments and Learning Progressions. Portsmouth, NH: Heinemann. Eickholdt, Lisa. 2015. Learning from Classmates: Using Students’ Writing as Mentor Texts. Portsmouth, NH: Heinemann. Fletcher, Ralph. 2011. Mentor Author, Mentor Texts: Short Texts and Craft Notes. Portsmouth, NH: Heinemann. Ray, Katie Wood. 1999. Wondrous Words: Writers and Writing in the Elementary Classroom. Urbana, IL: NCTE. —————. 2006. Study Driven: A Framework for Planning Units of Study in the Writing Workshop. Portsmouth, NH: Heinemann. Shubitz, Stacey. 2016. Craft Moves: Lesson Sets for Teaching Writing with Mentor Texts. Portland, ME: Stenhouse. As the school year moves into first term, I have been thinking about my all time favourite year of teaching. Over coffee with a couple of close colleagues it all came back and I felt that pleasant rush of excitement as I walked home later. We had a district early years team with one or two reps from each school. The meetings rotated from school to school and were held after school hours with a pizza dinner served. Even though I had four children at home, my husband was accommodating enough to take over and give me that one evening a month free to indulge my appetite for all things “teaching”. Our early years team got to visit each other’s teaching environments and every meeting opened with a little “tour” of the classroom we were meeting in. While the equipment and the organization of the room was always of interest, the ‘why’ of the room looked as it did was a richer conversation. We all had the “same stuff” but how it was used and why we had made the decisions we had was fascinating. We found that we were able to personalize our contexts so that others could understand that what mattered about the experiences we created for the individual children we worked with. The team from my school consisted of myself and my teaching colleague. We carried the things we had discussed at the team meetings back to our own school where we couldn’t stop talking about the possibilities. It led us to arrange to do recess supervision together — twice the amount of time on the playground but also twice as much time to talk with each other and with the children. We found that our plans about how to implement the curriculum were coming from what we knew about our context… our students. In a radical move, we proposed a change to the principal. We would combine our classes and our classrooms and teach together. My classroom was a blended first- and second-grade and my partner’s was a blended second- and third-grade class. We were convinced that we would more than double our enthusiasm for teaching and not double the duties each of us had. Much to our shock, he agreed and the next year we were a team with open doors between our adjoining classrooms. The next year was my first “favorite-year-of-all-time”. During that “favorite year” one girl in first grade stands out. Within the first day or two of school she informally demonstrated she could tell tall tales better than anyone…ever! Rather than stifling her enthusiasm for story-telling by suggesting she was making things up and grumbling about her sense of honesty, my teaching partner and I embraced her skill and built our plans around it. The year revolved around stories of tall tales, legends, and fantasies. By contrasting them with narrative non-fiction and informational texts, the students learned to distinguish reality from make-believe and everyone had a favorite they liked to think and talk about. They may have been in grade one, but they had taught each other about genre. We all were fanatical about reading and writing in different genres and trying new ways on for size. First grade students were able to classify the little stories they heard, wrote and read. The older students motivated the younger ones to read more, to listen more, to write more, and to find others who enjoyed the same types of text as they did or suggest different texts to each other. All the while, they were all having fun and the amount of time-on-task was amazing! As we welcome new students into our schools, I wonder how much we still are able to do that. Are we able to wrap experiences around the students? Do we greet the new immigrant student, or a student whose home life has changed, or a student who has just moved across the country, or a student who is differently abled with the same respect for their individuality, their diversity and their hidden expertise as my partner and I did with the students in my first favorite year of teaching? As P. David Pearson says, “Children are who they are. They know what they know. They bring what they bring. Our job is not to wish our students knew more or knew differently. Our job is to turn each student’s knowledge and diversity of knowledge we encounter into a curricular strength rather than an instructional inconvenience. We can do that only if we hold high expectations for all students, convey great respect for the knowledge and culture they bring to the classroom, and offer lots of support in helping them achieve those expectations.” I’ve had other favorite years since, but I’ve learned that harnessing the power of diversity makes teaching my “favorite” thing to do! Now that summer vacation is here, why not spend a little time discovering some really exciting web tools that are great for engaging both students and teachers in literacy learning? Here, in the Center for Reading Recovery and Literacy Collaborative, we have been encouraging one another (and the teachers with whom we work) to integrate some web 2.0 tools into our teaching. We have learned so much from one another, the teachers with whom we work, and notables in the field like Troy Hicks, Julie Coiro, and Nancy Anderson. As we discover these new web tools, we have been highly intentional and purposeful in the way that we use them in our teaching. It’s not about just using a 2.0 tool because it’s cool and flashy. We really spend time thinking about how each particular tool may strengthen our teaching and make it easier for students to grasp the concepts we are presenting. Listed below are just a few of the web tools that we have tried out and how they’ve been used. I highly recommend that you visit the Edublog Teacher Challenge Blog. This blog lists 26 different web tools, gives a definition and overview of each of their uses, provides a “teacher challenge” to get you started, and has many videos that support your experimentation. So, happy experimenting and please share with us how you have been using web tools for your literacy teaching. VoiceThread allows you to create an interactive slideshow using pictures, videos, documents, or even Powerpoint presentations. You or your students can record video/audio that allows you to describe each slide in more detail. But that’s not all…Viewers of your VoiceThreads can leave responses and comments to your VoiceThread. This tool is excellent for supporting writing workshop. I have seen it used for publishing a class poetry book, students created informational texts that they narrated, and one first grade class published their interactive writing about a class field trip to the zoo. VoiceThread makes it really easy to share published works with families! Wordle creates a “word cloud” that helps to interpret the meaning of the words by assigning font size according to how frequently the word appears in a text or is typed into the Wordle text box. We have used Wordle for brainstorming and as a reflection tool at the end of a professional development session. 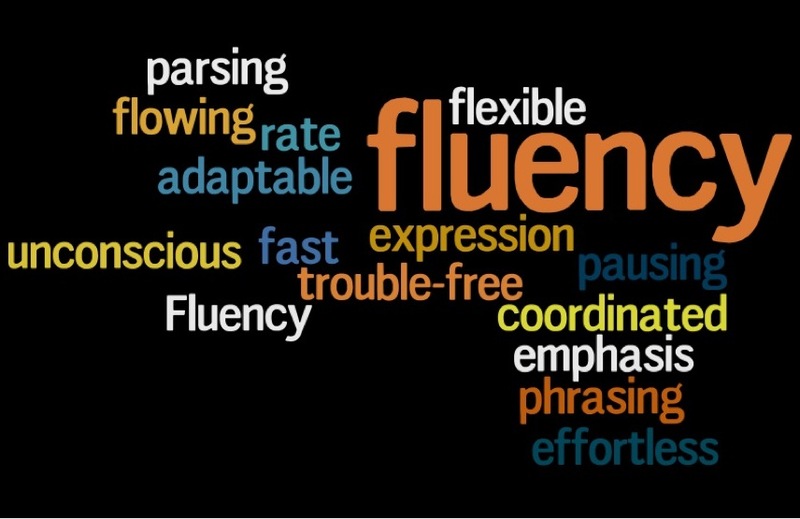 Below is a Wordle that was created during a session on reading fluency. Glogster is a Web 2.0 tool used for creating an online interactive poster. Glogster makes it easy to combine graphics, backgrounds, videos, pictures, sounds, text and even hyperlinks into really interesting online posters. Glogster is a fabulous alternative to the traditional classroom poster project. What happens to reading rate when your students read with phrasing? You probably notice that the reading rate is good- not too fast, not too slow. Phrased reading is important because it means the reader is pulling together the meaning units as he reads. As I looked out the window, I noticed a squirrel run up the tree. The reader is putting together word groups. When students read this way, they are reading meaningful word groups and don’t sound like they are reading a list of words. Word by word reading becomes habituated when readers are allowed to read that way day after day. 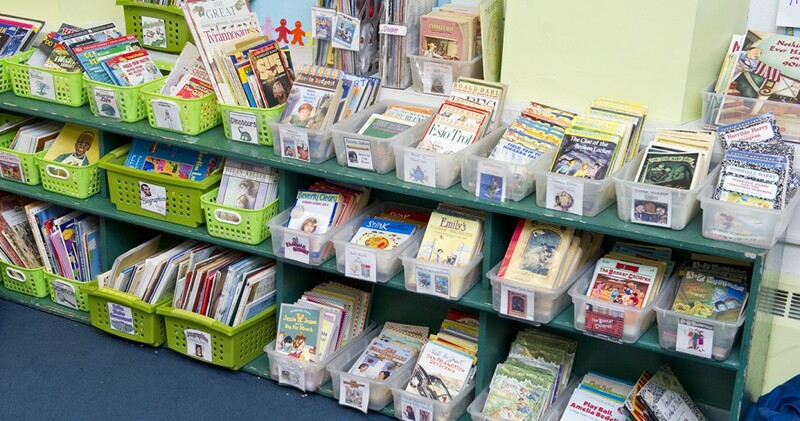 You can use shared reading or readers’ theatre for students to hear and practice reading that is smooth and phrased. You can select a page with a lot of dialogue and assign parts quickly so students read dialogue and reflect the way people are talking in phrases. If you value phrased reading, your students will too. There is a strong correlation between fluent, phrased reading and good comprehension. So let’s all be sure we teach our students to read fluently and insist on fluent reading in every text.